Simon & Schuster/Paula Wiseman Books, 9781481451321, 32pp. A young boy makes an unlikely friend on his way to school in this sweet and charming picture book from the illustrator of A Hop Is Up. One thing is for sure. Pax is the littlest everywhere he goes. In school. At playtime. On the train. 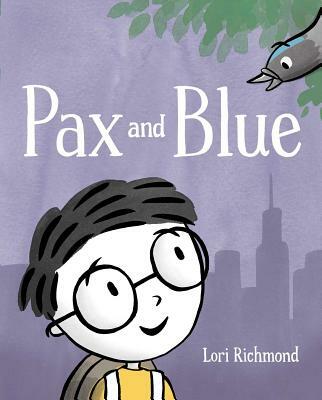 Then Pax meets a pigeon at the park—he names him Blue and makes a friend who knows what it’s like to be small. And understanding each other can lead to the best friendships. "Speaks volumes about being a good friend." "A simple but exhilarating adventure."